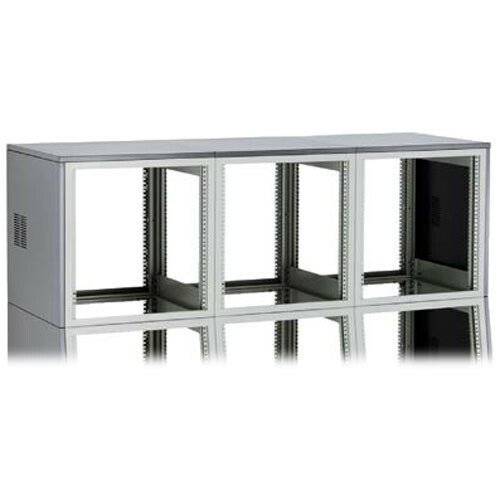 Winsted 3-Bay 19-1/4" Top Module is designed to work with the System/85 console system, an extensive line of ruggedly constructed vertical equipment racks that have interchangeable components consisting of welded frames, vented side panels, tops and pedestals -- the modular design makes the system easy to reconfigure or expand at any time. Add a top module to a basic console to expand your work area. The gray color scheme is visually pleasing and complements the Winsted rack line. This top module is part of a console system comes in a lovely contemporary grey color. The module is engineered to install quickly and easily because it is designed to work with System/85 consoles. In addition to being UL listed, this module comes with a ten-year warranty. The frame is constructed of a heavy gauge steel ensuring long-term durability.